There’s nothing better than curling up with a book and a hot beverage on a rainy day. If you’re on holidays in the Sutherland Shire though you may think your plans to go hiking in the national park or surf lesson are ruined… fear not! There are so many places to visit in rainy weather, you can think of this as an opportunity to see the sights you would have otherwise missed. Get 'Up & Atom' at the Australian Nuclear Science and Technology Organisation (ANSTO). Meet scientists who are helping to address health issues, climate change and develop new innovations to support Australian industry. This cultural haven showcases some of the best Australian and International artists. After a stroll around the gallery why not settle in at the Gallery Café. Keep your feet dry while shopping. There are plenty of great stores and shopping centres around the Shire, so you're guaranteed to be kept busy for at least a day. Check out our complete guide to shopping in the Shire. You can still laugh in the rain! Catch a comedy or the latest blockbuster complete with popcorn and choc tops. There are two Event Cinemas - in Cronulla Mall next to McDonalds and in Westfield Miranda. If the kids are bouncing off the walls, take them to Sky Zone Miranda, Flip Out Caringbah or Inflatable World Miranda. Sutherland Shire Leisure Centres offer a vast range of facilities, perfect for relaxing, increasing your fitness levels or just having fun with the family. For something a bit more competitive why not ‘knock em down’ ten pin bowling style at AMF Southgate. A Hot Mocha, skinny cap, or Macchiato? Another favourite pastime for locals when the weather is dreary is to head to a café, order something hot and settle in. 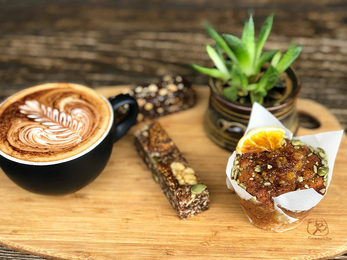 Cronulla and Gymea have plenty of cute little cafes to choose from. High tea anyone? The Teahouse at Camellia Gardens is undercover and provides a tranquil setting regardless of the weather. The rain is almost like a sign that you should relax, put your plans on hold and visit a spa! A mani-pedi, hot stone massage, or rejuvenating facial will leave you glowing and feeling better than ever. Try Refresh Face & Body. Snuggle up with a paperback from the enchanting Berkelouw bookstore or the Best Little Bookshop in Town a quaint bookshop, both located in Cronulla Mall. There are also a number of local libraries in the area as well if you’d prefer to borrow rather than buy. Recreating an era of city and suburban passenger transport of 100 years ago, the Sydney Tramway Museum provides enjoyment for young and old. And at night? Most of the bars, clubs and pubs are indoors so the rain shouldn’t affect your night time activities. Check out what's on at The Brass Monkey in Cronulla or the Sutherland Entertainment Centre.